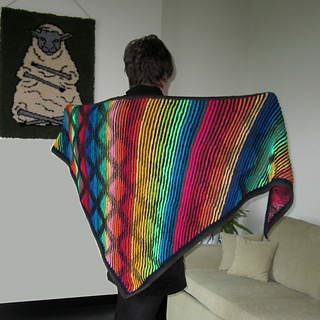 This shawl was designed to use up lots of oddments of yarn. It needs two contrasting groups of colours. 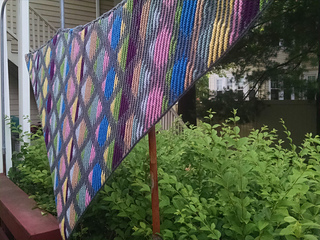 If you prefer, you can use two ‘normal’ plain yarns or either one or two variegated yarns. 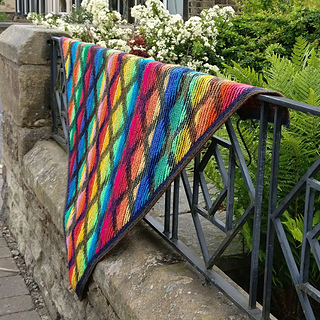 If you go for the oddment version the yarns should fall into two distinct colour groups. I used ‘dark’ and ‘bright’. You could opt for pastels with dark, reds with blues, brown with yellows, or any other combination to use up your oddments. The colours were used completely at random. 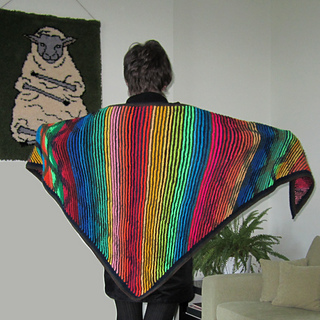 When you look straight at the shawl you see stripes in random colours and widths. When you look closely you see narrow alternating stripes of bright and dark colours. When you look from the side you see a dark grid with brightly-coloured squares. The effect changes as the wearer moves around. 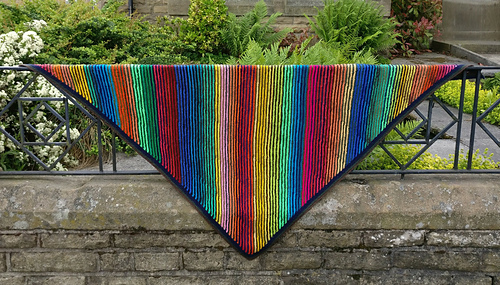 The original shawl was made with DK yarns, using approximately 450 metres (500 yards) of each colour group. 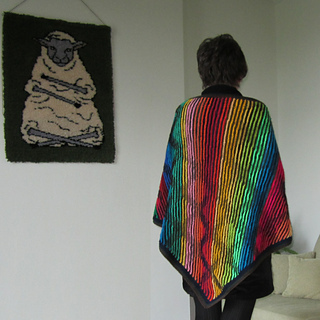 You can use any weight of yarn and adjust the overall size of your shawl. 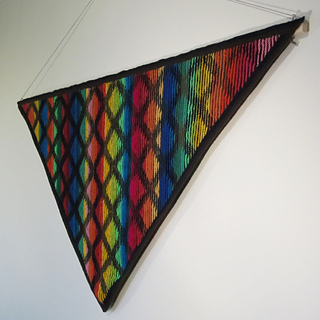 The design could easily be adapted to be a scarf or rectangular shawl.